As always, we bring you the drop test for the latest device you cared about. Although drop test dont usually mean anything at all. You wont buy your device based on how well it will fair in drops. Or you like to buy a tablet and drop it everyday then we have no comment. 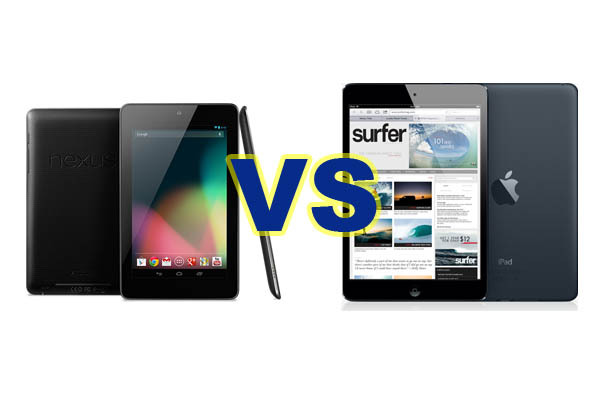 Anyway, this is the drop test between iPad mini and Nexus 7 from Android Authority. Who will fair better? At the launch of Apple’s third-gen iPad, the company’s Marketing Chief Phil Schiller claimed the device’s new A5X processor with quad-core graphics provided up to 4x the graphics performance of NVIDIA’s Tegra 3 chip. Schiller also claimed the new chip provided 2x the graphics performance of the iPad 2′s A5 chip. NVIDIA was skeptical of the benchmark data behind the claims, but early benchmarks seemed to show A5X outperforming a Transformer Prime running Tegra 3 in the majority of tests. New benchmark data provided by IGN shows the iPad 2′s A5 chip outperforming both the A5X and Tegra 3 with the A5X’s improved graphics going largely towards powering the new iPad’s high-resolution Retina display of 3.1 million pixels. The A5X shows a significant increase in performance over iPad 2 and Tegra 3 devices only when the chip is not forced to power the Retina display in “off-screen” benchmarks. First IGN ran three tests: GeekBench for raw CPU power, and GLBenchmark 2.1 Egypt, and GLBenchmark 2.1 Pro for graphics. It also ran “off-screen” versions of the GLBenchmark tests to show the performance of A5X without having to power the Retina display. Tegra 3′s quad-core configuration blazes past the dual-core A5X, garnering GeekBench scores of 1540 and 750, respectively. Interestingly, the A5X’s average score fell a few points short of the iPad 2′s standard A5 chip, 753. 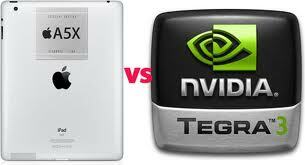 Both the A5X and the A5 also fell shy of the Samsung Galaxy Tab 10.1′s Tegra 2, which received an overall score 905. The gains made by the Tegra 3 are easily chalked up to its two extra cores, but it is also boasts the highest clocking speed of the group at 1.6GHz, compared to the 1GHz clock of the A5X, A5 and Tegra 2. The results of the off-screen tests (pictured above) show the A5X producing 15,412 frames at a rate of 138 FPS compared to the iPad 2 that has 10,143 frames at 90 FPS. 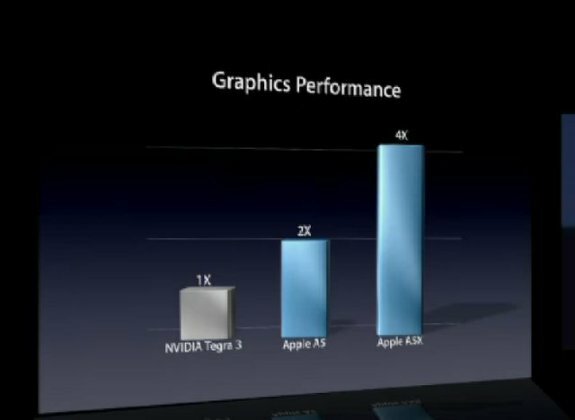 The A5X significantly outperformed Tegra 3 when not powering the Retina display, but it did not quite provide the 4x performance that Apple’s stats claimed like shown in the picture below. At what must be one of the most beautiful venues on earth to have a conference such as this, we’ve got Mobile World Congress 2012, a yearly event which takes the whole world’s mobile device market and gathers it up into one big week-long masterpiece. Of course it’s not as perfectly simple as that, and if you’ve never been to the event or have never tried to follow along with the news that spills forth from it before, you may very well have a hard time fitting all the pieces together. That’s why we’ve got this easy to read, easy to decipher guide for you to work your way through all of the devices and services announced, displayed, and teased during the events – have a look! What we’re going to do here is separate everything by brand. First there’s a big set of smartphone and tablet manufacturers, then we’ve got Google, then the big processor manufacturers, Microsoft, and the rest. I should also let you know that we’re not quite done yet here, with a selection of other oddities still up our sleeves set for release over the next few days as well. Continue checking our [MWC 2012 portal] for the full pack! One of the first events we attended was an LG booth preview, this meeting / miniature keynote had us also able to check out the full line of devices announced the week before MWC 2012 by LG. We were able to check out the full LG Optimus L-Style family including the L7, L5, and L3 in all their mid-range glory. Next we had a peek at the all-powerful LG Optimus 4X, a Tegra 3 toting next generation smartphone following up on the original world’s first dual-core smartphone, the LG Optimus 2X. Another follow-up nest-generation device we got to handle was the LG Optimus 3D Max, and the LG response to the Galaxy Note, the LG Optimus Vu, a massive smartphone / tablet hybrid with a 4×3 height x width ratio. Sony decided to doll out a couple more Xperia devices, each of them slightly unsurprising to a fine degree. We first got official word that the Xperia P existed, then got a hands-on experience with the device. We also finally got to handle the fabled Sony Xperia U in all its square goodness. If there was one smartphone manufacturer that brought their A-game and threw it all out on the floor, drew a line in the sand, and said “let’s do this thing”, it was HTC. They both introduced and described their brand new hero line of devices, HTC One. This line of devices features high-quality sound from Beats Audio, fabulous high resolution and sharp displays, HTC ImageSense for fabulous photos inside of Sense 4.0, and a high quality overall experience in each device. The devices dropped like this: first there’s the HTC One V – the lowest spec’d device with a classic shape. Then there’s the HTC One S international version and the T-Mobile HTC One S as well – note here right away that the HTC One naming scheme will stick around no matter which carrier these devices are on, HTC holding strong to their hero line guarantees. Plus there’s the HTC One X as well as its AT&T relative by the same name. HTC One X is the hero of heroes and comes with either an NVIDIA Tegra 3 quad-core processor or a Qualcomm Snapdragon dual-core processor depending on if you get the international or AT&T version, respectively. We got hands-on looks at the HTC One V, the HTC One S, and the HTC One X as well. Nokia was another fantastic force this year at MWC 2012, not least of all because of their awesome set of booths which both showed off their devices and provided press and brand friends an excellent place to work and relax during the week’s madness. The devices Nokia dropped were pretty neat too, starting with the Nokia Lumia 900 DC HSPA Global Edition which we also got hands-on time with. There was also the physical keyboard toting Asha 202, 203, and 302 which we also got hands-on time with right after the release event. There was but one mid-range touchscreen device from the group in the Lumia 610 (hands-on), then the giant game-changing device that rattled the whole event was the Nokia 808 Pure View complete with an undeniable 41 megapixel camera on its back – have a look at our hands on with 41 megapixels as well, and head to our Nokia MWC 2012 round-up for a different guide to the awesome madness. Three companies that brought one device each that triggered our “must touch” sensors were ViewSonic, Toshiba, and Panasonic. For the first manufacturer it was for the ViewSonic ViewPhone 4S, complete with an ultra high-resolution display and the ability to use two SIM cards. Then there was Toshiba with their unnamed NVIDIA Tegra 3 toting tablet complete with 7.7-inches of HD display and an ultra-thin profile. Then for Panasonic we got two hands-on looks t the ELUGA device, first in a classic hands-on experience, then with the dunking of the device in the water for good fun had by all. The folks at ZTE surprised us with several new devices including both Windows Phone and Android in a wide array of configurations. Perhaps the most impressive of these was an NVIDIA Tegra 3 quad-core processor toting smartphone by the name of ZTE Era. 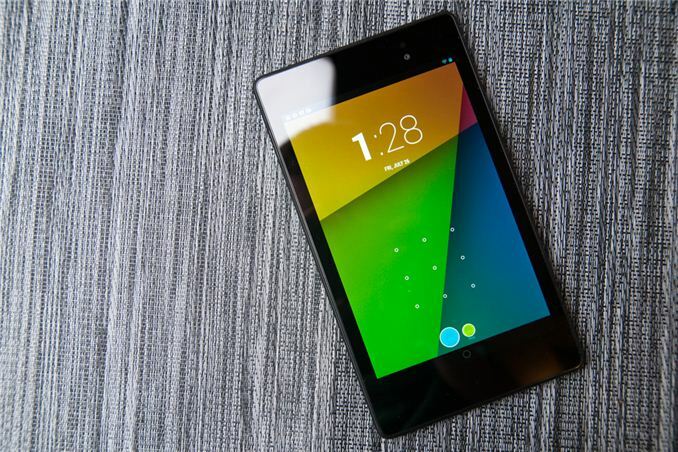 We got hands-on with the ZTE Era as well as the Windows Phone Tango smartphone ZTE Orbit. Samsung had a highly odd set of devices on hand for us to get hands-on experiences with including the Samsung Galaxy Beam with its cool projector top and the Samsung Galaxy Note 10.1 with its Galaxy Note abilities, S-pen (the tablet having no slot despite the silo on the original Galaxy Note,) and Galaxy Tab 10.1 stylings. For those of you looking for one solid device with no such super odd abilities on top, check out our hands-on with the T-Mobile Samsung Galaxy S Blaze, complete with everything you need for speedy daily living. Two more groups that surprised us with some super excellent devices running high-powered processors were Huawei and Fujitsu. With Huawei we got hands-on with both the MediaPad 10fhd and the Ascend D Quad, a device which you’ll also see a massive amalgamation of this weekend in a post about the model they made specifically for and of this device. It’s a horse ascending into the air, all made out of the Ascend D Quad smartphone! Then there was the Fujitsu unnamed NVIDIA Tegra 3 smartphone which despite it having no finalized features just yet, seemed pretty impressive at the time. ASUS revealed several new tablets in their now-named Transformer Pad series including the brand new 300 series as well as the high powered ASUS Transformer Pad Infinity 700 LTE. 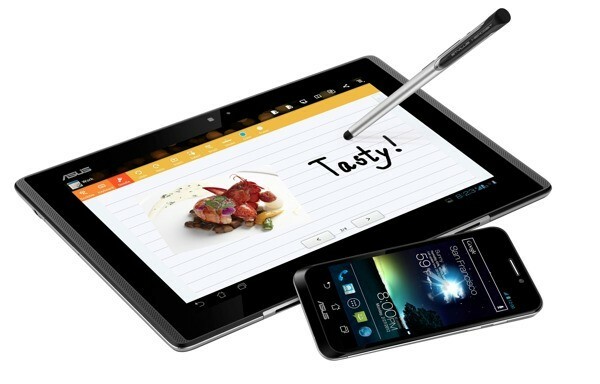 Then of course we got another glimpse of the ASUS Padfone, this time with a release date and a stylus headset! We covered the Google keynote for the Mobile World Congress main series of keynotes, of course, it having Eric Schmidt speaking on the development of the world for countries and communities that have no access to the internet at all. He also spoke on privacy and how Google Chrome as well as Android have it and continue to allow you the control to keep yourself as private as you like. He also spoke of legal matters and there were quite a few above-average quotable moments also, especially in the Q and A section of the keynote. Schmidt mentioned Google Bucks and 3D-capable personal robots as well. Check out our round-up of the Google keynote for all of this information arranged once more. For processor power we go to see great offerings from each of the big powerhouses, first up Texas Instruments with their OMAP 5 2x dual-core SoC as well as information on how they’ll be teaming up with Harman and iRobot for future OMAP 5 toting devices. Qualcomm took some awesome shots at the competition with the Snapdragon S4 and Gobi 5th gen while we took a look at the Qualcomm Snapdragon MDP for S4 and spoke with the team, this resulting in the note that Intel is still uncompetitive in the mobile marketplace. Intel certainly does appear to be taking a good run at the market recently, on the other hand, here at Mobile World Congress with the Orange Santa Clara Medfield phone in all its glory. Then there’s NVIDIA, which if you simply take a peek at our hands-on with Shadowgun Deadzone multiplayer, you’ll only see a tiny fraction of what we’ll be publishing soon – and don’t forget about the massive amount of Tegra 3-toting smartphone released this past week alone. Microsoft took each of these chipmakers and put them all in one room together with the Windows 8 Publishers Preview, having a tablet each from each manufacturer to show off Windows 8 for the consumers of the future. We also saw the preview on a wide variety of computers and saw how it all works together as you would expect it to. The app interface was incredibly fast and fluid, the shoe system worked extremely well on tablets as well as any PC with the ability to run a USB stick. You can also download the Windows 8 Consumer Preview right this second if you’d like to. Of the oddities we’ve posted thus far, I recommend you check out the following: Skype for Windows Phone and MTV’s under the thumb Social TV for starters, then FXI Cotton Candy the world’s smallest PC to keep your sweet tooth hungry. You of course then must also view our look at the Neonode 3D touch for tablets and phones hands-on experience we’ve got along with the one vehicle we checked out: RIM’s own BlackBerry vehicle, the QNX Porsche 911 complete with BlackBerry phone and PlayBook tablet integration. Asus Transformer Pad 300 is the most affordable Asus gets with tablets without getting cheap: the TF Pad 300 drops the aluminum for plastic and the price dips a $100 below the Transformer Prime to $399. The new Asus Tansformer Pad 300 is so far the most affordable tablet from Asus. Asus drops the aluminium enclosure with plastic and drastically reduces the price to around RM300 cheaper. The Pad 300 is still a serious computing machine powered by NVIDIA’s quad-core Tegra 3 chip, but it’s slightly bulkier. The Transformer Pad 300 is 0.39” (9.9mm) thick and tips the scales at 22.4 ounces (635 g). The screen on the TF Pad 300 is almost the same great screen as on the Transformer Prime – it’s an IPS one with a resolution of 1280×800 pixels. When it comes to connectivity, Asus is likely to offer 4G LTE as an option. There’s also 1GB of RAM and 16GB of internal memory. We think the Pad 300 has great value for money with such specs in such price. What do you think? There are so many questions about mobile device purchases these days: Do I need a tablet when my phone already does so much? Do I need a laptop if I can do so much on my tablet? Today in Barcelona, at the annual Mobile World Congress trade show, Asus debuted an all-in-one answer to those questions — its PadFone. 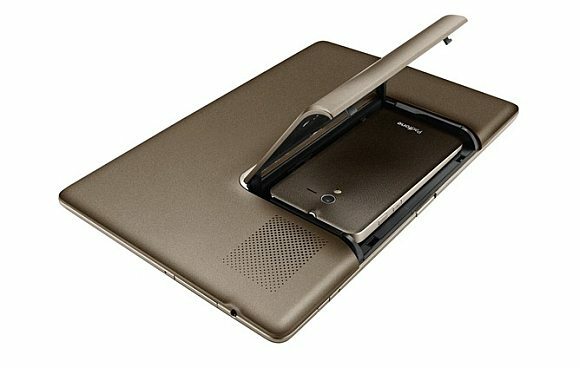 The 4.3-inch Android 4.0 smartphone comes with a tablet dock accessory that can transform the phone into a full-on tablet. Asus has been previewing the device since June of last year, but it says it will finally be ready to ship in April. There’s no word if it will be available in the United States; the phone would likely require a carrier and Asus doesn’t have any U.S. carrier partnerships right now. 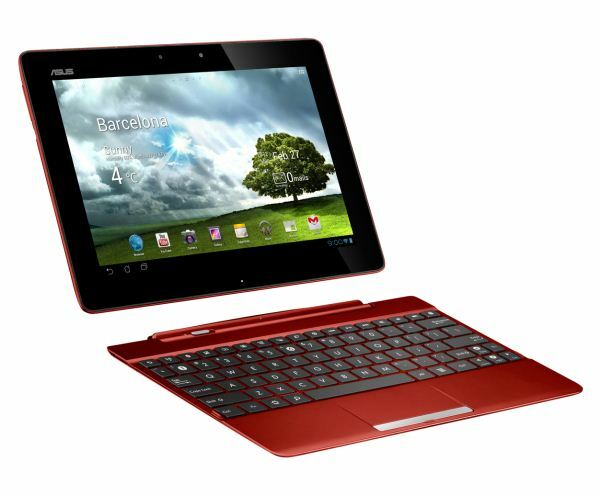 Asus is well-known in the laptop market, and has only recently started to branch out into the tablet market. The phone is packed to the brim with new technology, including a dual-core Qualcomm processor, 8-megapixel camera with a Fuji image processor, and it has a high resolution qHD AMOLED display. The PadFone Station — the tablet part — has a 10.1-inch screen and an extra battery that can keep both the phone and the screen powered on for up to 16 hours, Asus claims. When the phone is docked into the back of the tablet, you can navigate the phone’s Android 4.0 operating system on the tablet. But what about those who still want a keyboard? 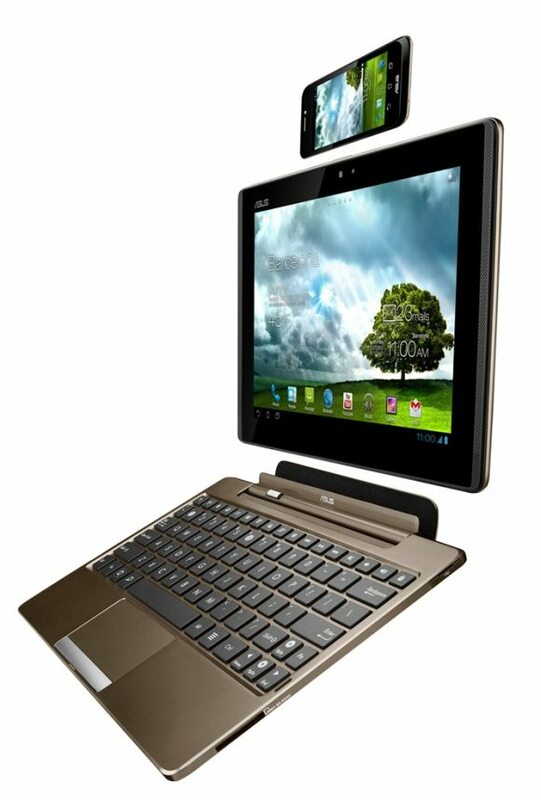 There’s an add-on for that; a keyboard dock will be available for the PadFone Station to dock into. 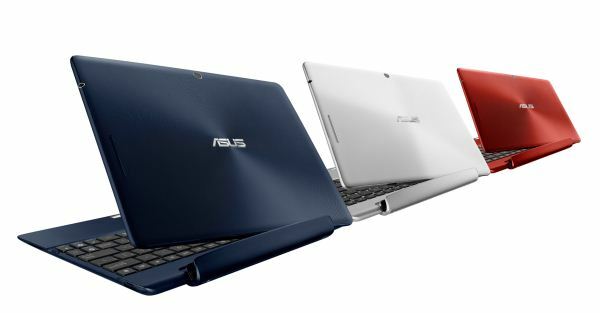 It will work a lot like Asus’ Eee Pad Transformer or Transformer Prime, which are on shelves now. Asus also announced a PadFone Stylus Headset — a digital pen for writing on the tablet that doubles as a Bluetooth headset for making and receiving calls when the phone is docked. Lots of double duty here. It should be interesting to see how it works, and we look forward to a closer look in April, when we’ll also find out what the whole package will cost.